WAWH is a proud member of Community Shares of Wisconsin. If you place of employment already participates or would like to participate in a workplace giving campaign, this is a great way to support WAWH and other wonderful nonprofits in Wisconsin. If you're fortunate enough to own stock that has gone up in value since you purchased it, you should consider giving some or all of it to your favorite charity. This will not only help a good cause, but enable you to reap substantial tax savings. To make stock donation to WAWH, link here. For those aged 70.5 and older, there is a special provision that allows you to make charitable gifts directly from Individual Retirement Accounts (IRAs). Those with traditional or Roth IRAs can make gifts to WAWH using funds that might otherwise be taxed when withdrawn (up to a total of $100,000 per person per year; $20,000 per couple). By giving directly through your IRA, you won't increase your adjusted gross income and possibly subject your Social Security income to a higher level of taxation. Using Facebook’s fundraising tool, you can donate your birthday to WAWH. Simply click on the fundraising tab on your News Feed. From there, select the "Wisconsin Alliance for Women's Health" to give to and set your fundraising goal as well as your fundraiser’s end date. You can invite your friends directly to the fundraiser, so they'll feel personally compelled to donate. Shop online, save money AND support us through GoodShop, FlipGive, AmazonSmile and Bravelets. Just be sure to select the Wisconsin Alliance for Women’s Health as your cause. 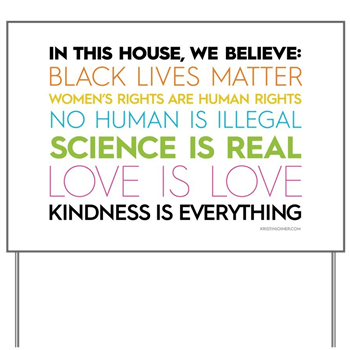 In this house, we believe: black lives matter, women's rights are human rights, no human is illegal, science is real, love is love, kindess is everything. This order includes only the flag. 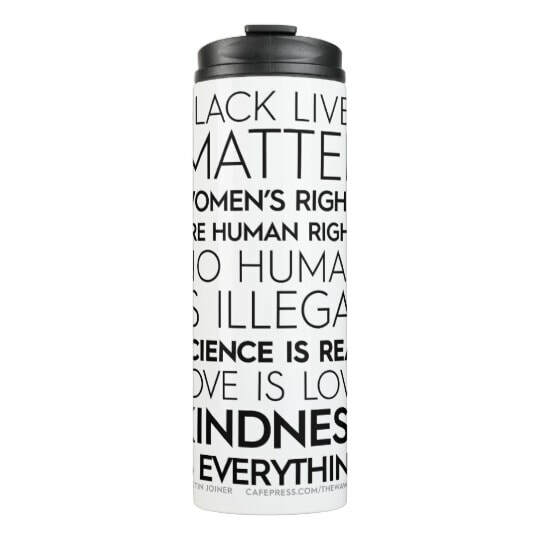 We also have The WAWH Shop that offers amazing and inspiring merchandise with every purchase helping to support women's health, safety and economic security! 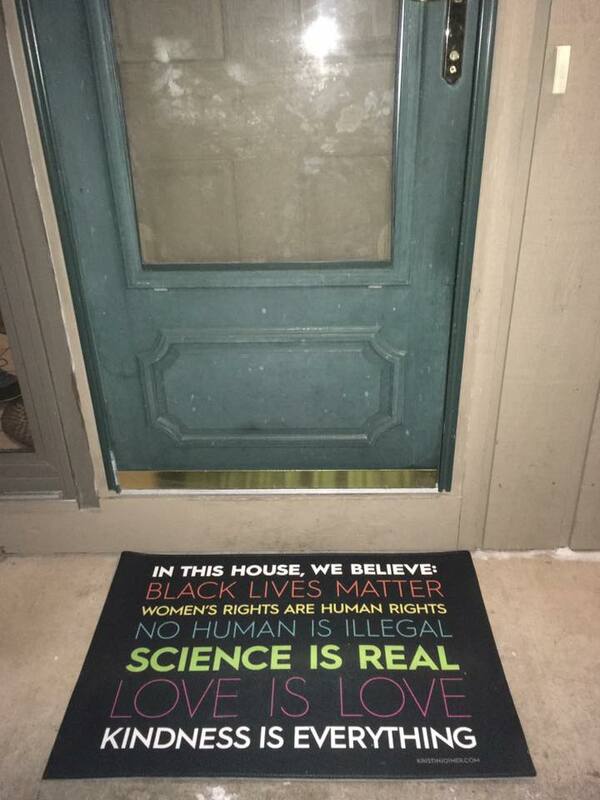 We also have additional products including welcome mats available through our Zazzle store.